A co-worker sent out an e-mail for an assignment yesterday, but added a twist. 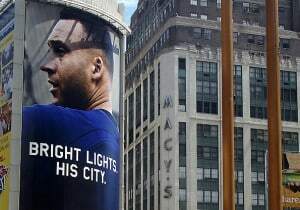 Next to each person on the list, attributed a saying, slogan or tall tale praising Derek Jeter, the joke being that Jeter is often adored/celebrated/defended by fans to the point of hagiography. This co-worker is not much for blogs or social media (he may be the last person of my generation I know who doesn’t have a Facebook account, a Twitter account OR a blog — not even a Tumblr or Instagram account), so I asked if I could borrow his list for a post here. All he asked was that I leave his name out of it. What follows is mostly his doing, though I omitted and altered a few that were inside office jokes. So here then is The Jeterian Code, by a Co-Worker To Be Named Later. This list, of course, could be easily expanded. And neither the co-worker or I are claiming these are original ideas; maybe someone out there has uttered some of these before. But they were new to us.